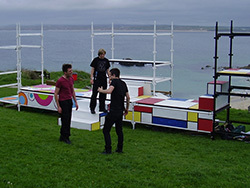 St. Ives has a thriving performing arts and music scene, with a large number of local theatre companies, bands and other performers. There is something on most nights of the week throughout the year. 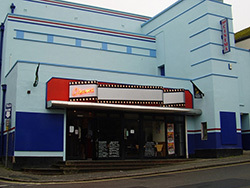 The range of venues includes St Ives Guildhall, The Royal Cinema, St Ives Arts Club, Boathouse Theatre and St Ives Theatre. On Summer evenings local brass bands regularly perform on the harbour slipway. Pubs staging live music include The Queens Hotel, The Golden Lion, The Sheaf Of Wheat and The Lifeboat Inn. 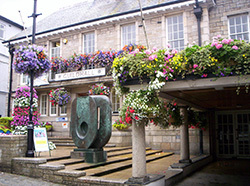 On this page you will find details of various organisations and venues in and around St Ives. Visit the What's On section of the site for the latest listings of events. 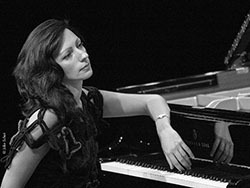 One of the aims of this website is to promote live music and the performing arts. Please do email or send in details of your band or other group and your events for listing. The club stages top class modern jazz every Tuesday night at The Western Hotel, featuring top local, UK and international musicians. A great night out. They have cabaret style seating, a top class sound system, a friendly atmosphere and drinks at regular pub prices. Like many St Ives ventures it is run by a group of enthusiastic unpaid volunteers. Visitors are welcome as well as members, admission is on the door from 7.30 pm and music starts at 8.30 pm. If you join the club admission is cheaper. They publish a new programme every three months. Their website has more details of the club and the current programme. It is also home to St Ives Farmers Market and other weekly markets throughout the year. An annual production - usually one of Shakespeare's plays - with a cast of local people and professional directors. 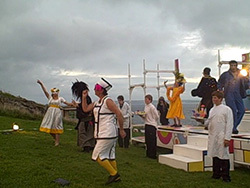 Performed outdoors in the spectacular setting of The Island in August and September. This really is a true community effort with dozens of local people taking part both onstage and offstage. The company is open and genuinely welcomes new members. Do think about joining, or buying tickets if you're visiting St Ives. We are lucky to have a three screen cinema - The Royal - right in the centre of town, showing all the latest releases. They also host Penwith Film Society who show less commercial movies. They are open seven days a week - every evening and most afternoons. They have a membership scheme - Movie Magic - which gets you reduced price tickets. Well worth joining if you go to the movies reguarly. Their website is updated weekly with the latest programme and ticket prices.